This magnificent publication presents nearly 500 masterpieces from the Khalili Collection, the largest and finest privately owned collection of Islamic art in the world. All specially photographed for this book, these precious objects were created for sultans, princes and merchants between the 7th and early 20th centuries, and include rare illustrated manuscripts and Qurans, exquisite glass, ceramics and jewelry, magnificent textiles, carpets and paintings. With texts by an international team of experts and specialists, and accompanied by over 650 colour illustrations, this volume is an inspiring and scholarly celebration of the masterpieces of the arts of Islam. book. 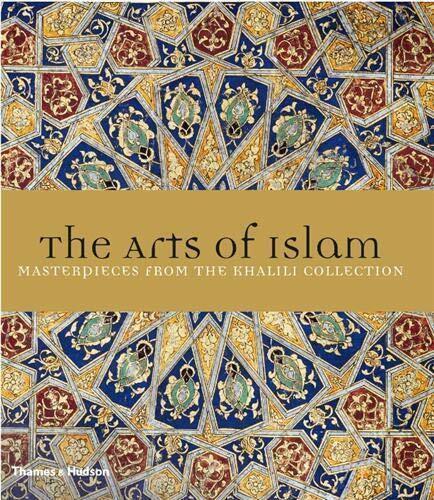 The collection demonstrates the wide artistic achievements of Islamic culture, and strives to provide a synoptic vision of the arts of the entire Islamic world.With texts by an international team of experts and specialists, and accompanied by over 650 colour illustrations, this volume is an inspiring and scholarly celebration of the masterpieces of the arts of Islam.